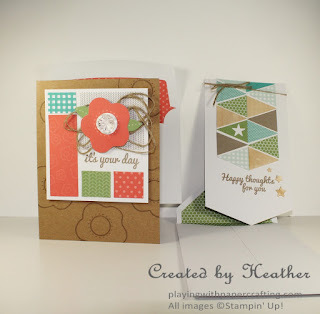 Playing with Papercrafting: June's Paper Pumpkin and Movie Date! I finally got some time to play with my June Paper Pumpkin kit! All the kits we get now are so cute and we get so much in each one, that it's an amazing deal for $24.95 (which includes shipping). This kit allows you to make 8 very unique cards in 2 designs, 4 of each. These cards have many distinctive features that you don't see every day, including the shape of the banner cards. So I pretty much followed the directions with these first two cards, but I'm planning on coming up with some more variations soon and I'll post those when I do. In the meantime, you can see what others have been doing with this kit on Pinterest! A Paper Pumpkin subscription makes a terrific gift for a crafty friend who doesn't have a lot of time or space to craft, but would love to do it if she or he could. They are also great for you to work on with your kiddos! What a great activity to help keep them busy over the summer! 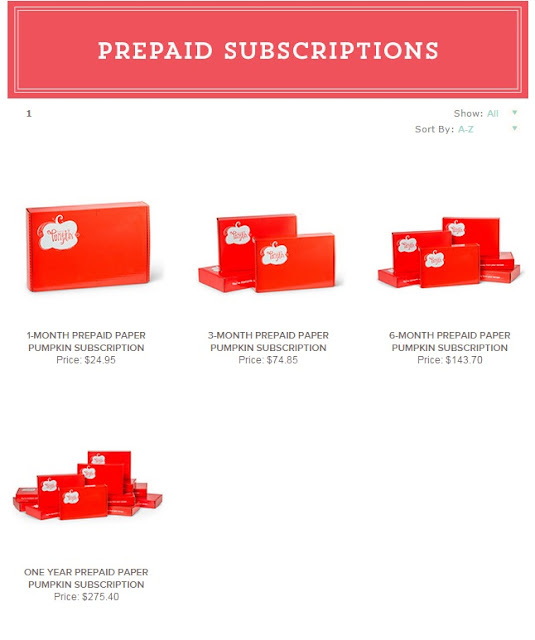 You can prepay subscriptions for yourself or someone else, or go straight to My Paper Pumpkin and sign up. 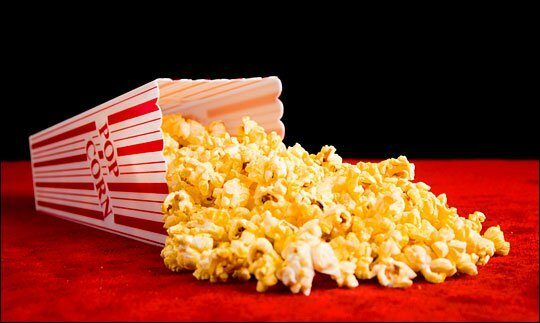 You can easily cancel or pause your subscription at any time. Message me if you are interested in prepaid! If you subscribe on line, please select me as your demonstrator! Thanks for stopping by! 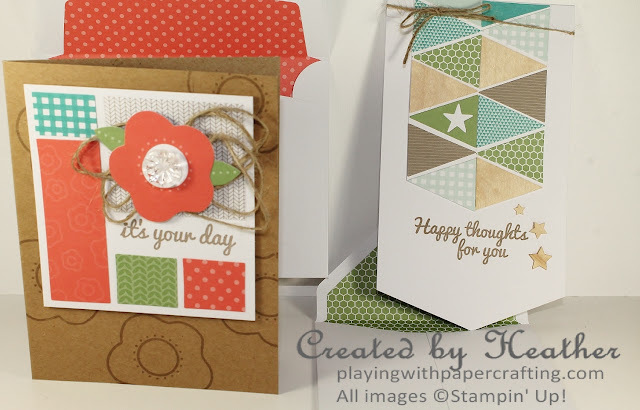 See you tomorrow with another design for As You See It Challenges!